Up early at the Menzies house this morning to get to the run for the hills race. 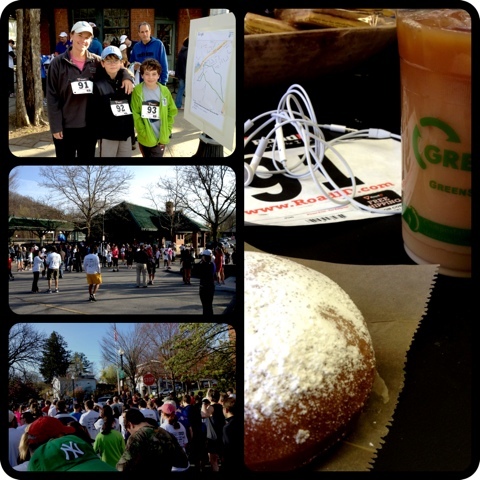 A great morning, luckily followed by a treat at Table Local Market in Bedford Hills – fresh baked donuts! What’s your flavor – lemon cream or jelly filled? Cider? Even if you didn’t run the hills, stop by after whatever sports your kids played this morning and treat yourself. It made the run worth it!